Standing anywhere in the park, visitors see water and many of the islands for which the region is named. 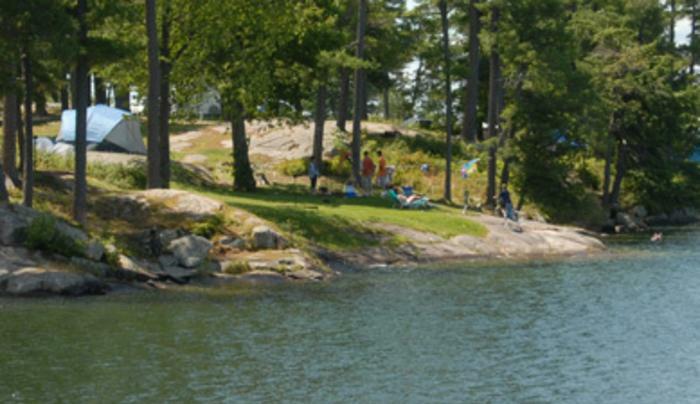 Half of the 99 campsites are on the waterfront and virtually every cabin and campsite has a river or bay view. Dockage and a sandy beach on site. During the winter, visitors cross-country ski, and ice fish. Pets must have proof of current rabies vaccination - certificate inoculation or dated collar tag. Household pets only. Beach available.